Sorry guys! Finals are coming next week, and I have been doing schoolwork like crazy!!! OMG! School is sooo annoying~~~!!!! Anyway... I am updating the guide now with the previously added teams. Once again, sorry for the major set back. Finally! I updated... *sigh* Is the guide really gonna get deleted? No, it's not going to get deleted. <font color=ACEACE>Water Pokemon Master, is just being a Wannabe Moderator. Only we can hurt, but we won't, but we can, but we won't, we'll I can't since I don't mod here, but some of use can, but they won't, I think. Okay guys. I will have a fresh new Teams and maybe even a new version by Friday. Since Midterms have come up for me, I get time to think of new teams while I am done with tests. I will try to make the guide easier to read too! Anyway, I hope this can come true. If it does, there will be over 15 new teams . This is a well balanced team using defensive moves. In the start of the battle they use Toxic on the opponents. The Mr. Mimes then follows with Light Screen and Reflect. Because what is better than one pokemon tank? Two of them! When health is running two low then it's time to use rest. Your enemies will be down and your guys will be itching for the next fight. I highly recommend using PP ups to increase their moves to the max, making them a major pest to the enemy. And with Magical Leaf you can't miss. 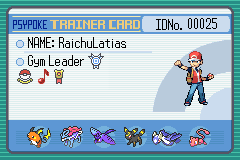 Please note that this team is not recommended for opposing teams with steel pokemon. Last edited by Groudon King on Fri Feb 04, 2005 6:48 pm, edited 1 time in total. Maybe you can have Light Screen on one of them, and Reflect on the other? Since it's quite of a waste to have them both know both moves when the effects do not stack. Sorry I haven't been here... I kind of lost interest in Pokemon now. Since I just turned 16 (yesterday), im starting to move on. Don't worry though, I will still be around here for a while. Umbreon keeps on using Double Team while Dusclops Toxics the opponent. Then Dusclops uses Psych Up on Umbreon so they can stay in battle for a long while. Psychic covers Umbreon's Fighting weakness and if you chose Seismic Toss over Rest then that can defeat the Dark types. Attack with Psychic, Shadow Ball and Shadow Punch and Rest/Moonlight when necessary. Basically annoy your opponent and WIN WIN WIN!!! Last edited by Neo_Matrix on Mon Mar 07, 2005 1:31 pm, edited 1 time in total. Sand Stream belongs to Tyranitar, BTW. That sounds like a good set, but seismic toss doesn't do any REAL damage, it does damage based on the user's level. Please Rate This Double Battle Combo. I'd prefer not to use the Back-ups however they are more powerful in my opinion. 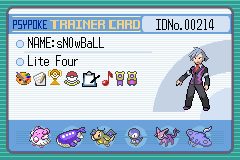 Snowball, not to sound rude, but that's what he did; he just put 3 2-Pokemon teams, not 1 big one. He just mentioned off topic that that's his team for FR. PS: Somehow I can't delete that post, so I've changed it to some rubbish (orth or something like that). Can a mod delete that post for me? Thanks. Raichu protects, while Golem Explodes. HOPEFULLY, Golem will endure the hit with Focus Band . Next turn Golem rests, while Raichu Paralyses the opponents and then confuses them.Thunderbolt all other pokemon, while Golem uses Double Edge/Rock Slide to KO opponent. If you play your cards right, then you can redo the whole setup, and KO two more pokemon. Do you have any other internet connections like Internet Explorer? For some reason AOL won't work for me, but Internet Explorer will. 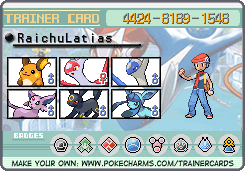 This works pretty well, the only real bad issue is protecting Houndoom from fighters, but it's still good. Hey guys guess whos back with another 2vs2 strat? Pressure- Every move that hits Aerodactyl costs 1 extra PP. Don't use it, because you'll see why. Rock Head- Prevents Recoil. Go with this. Chlorophyll- doubles speed in the sunshine. This is a wasted effort as Jumpluff is fast enough. Plus you'll want Jumpluff to be slower than aero anyways. This isnt just an individual combo but rather a combination of multiple 2vs2 strats. Both Aerodactyl and Jumpluff are fast enough to pull these strats off before taking a beating from the opponent. The first of the strat is pretty obvious: Aero subs while Jumpluff swaggers Aerodactyl. Aero gets the attack boost but not the confusion. More than often though I've found myself having Jumpluff use sleep Powder the first turn instead of Swagger. Once you feel Aerodactyl has enough swagger boosts to start beating the **** out of other pokes, just have Jumpluff use Helping Hand. Earthquake is nice on Aero seeing as Jumpluff is immune to it, but Flying/Levitate Pokemon are common in 2vs2, so Double edge works just as good. Jumpluff- Jumpluff is gonna need more defenses than it would in 1vs1. I recommend max HP, near max speed (this is in case you come up against this combo, so you'll at least be able to outspeed your opponent's jumpluff) and the rest towards the defenses, if any. Counters: Starmie should get rid of Jumpluff fairly easily, as would anything with at least 351 speed and an ice move. This strat also counters itself, giving you a 50/50 chance however. Electrode takes aerodactyl apart, leaving the next poke to come in with a confusion problem. Things with great defense (ie: Skarmory, Claydol) should be able to withstand the hits (just remember that Rock Slide's base power is halved in 2vs2).